From U.S. Carrots contains a chemical called beta-carotene. Beta-carotene might act as an antioxidant. 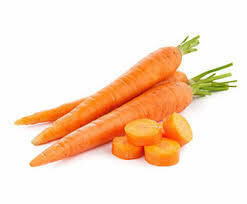 Carrot also contains dietary fiber, which might improve stomachand intestine conditions such as diarrhea or constipation.